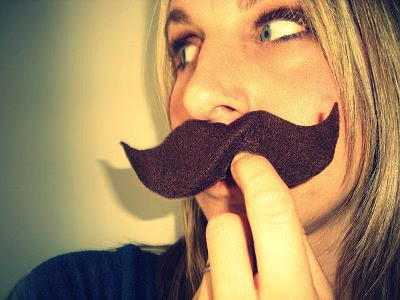 I've noticed lately in the crafty world that mustache's are becoming pretty cool (see here, here and here for examples). I am sure my Dad has one of the biggest mustaches in our city... maybe even our country. The crazy thing is that I've never, ever known my Dad without his mustache... it use to even scare my friends off from visiting (including Symon). I have always thought it was pretty cool. My Mum was just telling me the other day that when Dad eats his food he often has things drip off his mo and fall onto his clothes, thus he usually always has to tuck a napkin into his shirt. While she was talking to me I had a "lightbulb moment". 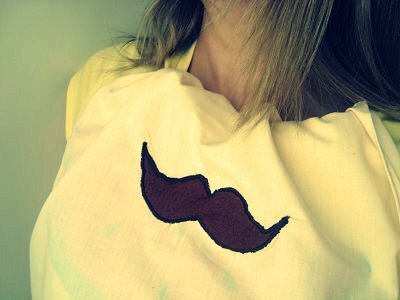 Wouldn't it be so cool to make Dad some mustache napkins especially for his birthday this coming Wednesday!! And here they are, custom made mustache napkins... I hope he likes them. Click on the links to see how his Mustache Party and Mustache Cake turned out! Oh my goodness these are brilliant! I knew it looked wrong when I typed it, oops! That's so sweet and thoughtful of you kristy! My dad has a Mo. I would die if he ever shaved it off. I love older men with a mo; it makes them seem very granfatherly - younger men, not so much. Love them! Hope he loves them just as much! Am loving the retro effects on your photos! What software do you use and how much was it? those napkins are a great idea. What a fantastic, funny, cool and ever so practical idea! no so much a mo girl, but diggen' the mo napkins! just presh! so creatively adorable. what a cute creative idea...you go girl!!! Me, not so much a mo girl. I must do something with a stash...everyone is doing it! And you know if everyone jumps of a bridge I need to go get my bungie cord! tee hee, what a great idea! Hope he likes them!! How cool moustache napkins, your Dad will just love his present form you I'm sure.Clever girl. Ha how very very cool! I love these!! I've been seeing 'staches everywhere, too, lately. My hubby even begged me to let him grow one and that lasted for all of a month! The napkins are great! So nice of you to go to so much effort too. SO CUTE! I love it! My had has had a mustache as long as I can remember as well... I think his face would look naked without it! 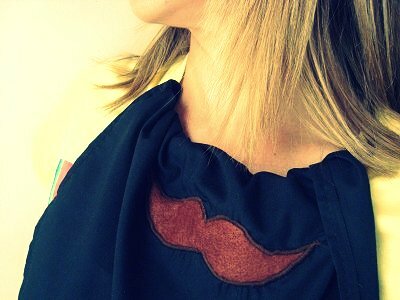 :) I was just thinking that mustache baby bibs would be darling!